Twenty-six at the time of his election, Hattil (Harry) Spencer Foll held the record for ‘youngest senator’ until 24-year-old Bill O’Chee was appointed to fill a casual vacancy in 1990. Foll, who apparently disliked the name Hattil, was born at West Brixton, London, on 30 May 1890 to John Hattil Foll, a butcher, and Kate, née Lamb. He was their second child and was educated at Clapham Collegiate and Holy Trinity, Clapham. In 1909 he emigrated to Queensland and held a variety of jobs, as stationhand, bookkeeper, journalist and clerk in the Queensland railways department, before enlisting in the AIF on 18 August 1914. As a member of the 7th Battery, 3rd Brigade, Australian Field Artillery, Foll was at the Gallipoli landing on 25 April 1915, but was wounded on 19 May at Shrapnel Gully, invalided off the Peninsula at the end of August, and sent home to Australia. On 1 December 1915 he married Evelyn Bush Mousley, the daughter of a commercial traveller, at All Saints Anglican Church, Brisbane. He was discharged in February 1916. Foll came to the Senate following the ‘khaki election’ of 1917, having served briefly as private secretary to John Adamson, then a member of the Queensland Parliament, whose own Senate ambitions were delayed by Foll’s Nationalist endorsement. From his experience at Gallipoli and subsequent involvement in the Returned Soldiers’ and Patriots’ National League, Foll developed a lasting concern for the welfare of soldiers and veterans that was to inform much of his parliamentary work. Foll’s patriotism and his commitment to repatriation and defence featured prominently in his first speech to the Senate on 11 July 1917. In June he had become a member of the Cabinet-appointed Parliamentary Recruiting Committee, chaired, ex officio, by the Director-General of Recruiting. The committee, which lapsed the following year, was appointed following a joint meeting of members of both houses in the House of Representatives chamber on 15 June 1917 for the purpose of assisting the Government to frame a recruitment policy ‘capable of immediate operation’. Foll served on two early statutory joint committees—Public Works and Public Accounts—chairing the latter in 1926, and during the Depression lamented the suspension of these committees and urged their reinstatement. That parliamentary committees represented value for the taxpayers’ money was a recurring theme in Foll’s contributions to debate. In March 1920 he successfully moved a motion (known as an order for return) requiring the Government to provide information to the Senate about the costs of the various royal commissions of the day. In debate on the Committee of Public Accounts Bill in 1931, he affirmed that the cost of the standing committees had been ‘only a fraction of the cost of some investigations by royal commissions in Australia’. He was also a member of the Select Committee on the Advisability of Establishing Standing Committees of the Senate. The committee’s initial report on 9 April 1930 recommended that standing committees be established to scrutinise regulations and ordinances, and external affairs, but the Senate recommitted the matter, and the second report, presented on 10 July 1930 and adopted on 14 May 1931, recommended that only the former committee go ahead while the latter be further considered. The select committee’s earlier recommendations, however, stayed in Foll’s thoughts. In one of his last contributions to debate, he again promoted the creation of a foreign affairs committee after the model of the foreign affairs committee of the United States Senate. In 1926 Foll was appointed Government Whip, having earlier filled in for de Largie. As Whip, Foll’s attendance improved markedly as he dutifully fulfilled his administrative and procedural obligations, including moving leave of absence motions for senators, being present for ‘count outs’ (adjournment of the Senate for want of a quorum) and explaining mishaps with senators’ travel arrangements. He would serve as Opposition Whip from 1929 to 1931. Although not the Senate’s finest orator, and seldom succinct, he was well informed. 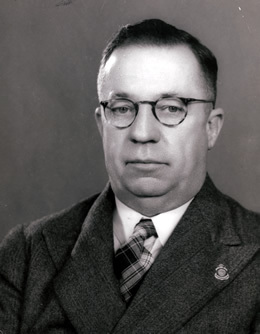 Apart from his interest in the welfare of returned soldiers and the fate of soldier settler schemes, particularly in Queensland, he spoke about the development of rural and remote regions and new communication technologies, the public service (he was keen to secure preference for returned soldiers), aviation, industrial relations and alternative fuels (including the production of power alcohol as a by-product from the Queensland sugar industry). He was also an advocate of Canberra as the seat of government. He regularly moved a small number of amendments at the committee stage of bills in his areas of interest, with sporadic success. He believed ‘in rendering reasonable assistance’ to industries that deserved it and were not ‘likely to handicap other interests’. Foll also pursued private interests in mining and resources enterprises. In 1935 he cut short a visit to London, where he was attending the jubilee of King George V as a member of the delegation to the Empire Parliamentary Association, to fly back to Australia in a bid to become President of the Senate. He was unsuccessful, but in November 1937 was appointed to the Lyons Ministry as Minister for Repatriation and Minister in Charge of War Service Homes. He would hold several portfolios in successive UAP and UAP–Country Party governments including those for Health, Repatriation, the Interior, and Information. He also represented, variously in the Senate, the portfolios of Trade and Customs, Defence, Works, Civil Aviation, Supply and Development, Army, Navy, Air and Civil Aviation, Defence Coordination, Social Services and Health, and Home Security. In 1939, following the outbreak of World War II, Foll delivered a ministerial statement on the war, announcing the formation of the War Cabinet (of which he was a member) and the Economic Cabinet. When the Prime Minister, R. G. Menzies, resigned the Information portfolio in December 1940, it went to Foll. Menzies is reported to have quipped to an officer of the Department of Information: ‘I understand you don’t suffer Folls gladly’. Remembered by former staff of the department as ‘lacklustre’, Foll is nonetheless credited with reorganising the department in order to promote Australia overseas rather than focusing only on domestic wartime information services. He established the Australian News and Information Bureau in New York and appears to have had a talent for administration. In 1941 he secured Cabinet approval for coordination between his department and the armed service departments prior to the release of sensitive information. His opportunity to flourish as an administrator ended when Labor’s John Curtin was invited to form a government in October 1941. Once more on the backbench, on 17 March 1942 Foll enlisted in the Volunteer Defence Corps (he had in May 1940 written to Menzies concerning its formation). He continued to attend sittings of the Senate, maintaining a reasonable attendance. Military records show that he gave his occupation as ‘Senator’ and put his age back by one year. In December 1942 Foll was granted ‘3 days leave without pay to attend Parliament’. In September Senator Aylett had asked a question in the Senate as to ‘whether members of the Commonwealth Parliament holding military positions and drawing military pay are subject to forfeiture of their parliamentary seats’. In 1944 Foll was invited to participate in the Joint Committee on Social Security and the Committee on Censorship. He acted briefly as Leader of the Opposition in the Senate in July and August of 1945 while Senator Leckie, who was acting as Leader, was ill, and for the first time in his parliamentary career employed the device of moving urgency motions to debate what he perceived to be matters of high priority; namely, the failure of the Curtin Government to keep the Parliament informed about the war by convening secret meetings (as had been the custom with previous wartime governments), the need for the appointment of a joint select committee to look at the expansion of Australian publicity overseas (which he later withdrew), and the Government’s failure to ensure adequate supplies of fuel for industrial and public requirements. Towards the end of his last term in the Senate, Foll’s attendances dwindled and, failing to return after three weeks leave of absence, he was forced to apologise to the Senate for missing a roll call in connection with three Constitution alteration bills. His flagging interest contributed to his failure to be re-endorsed for the 1946 election by his party in Queensland, where he had not lived for many years. He was also embroiled in an ongoing dispute with Senator Crawford, whose term exactly coincided with his own. The dispute had its origins in 1935 when the two senators were candidates for nomination as President of the Senate. According to Crawford, Foll also pressed his claim to be ‘father of the House’ from June 1938. Matters came to a head on 2 July 1941 when, on the adjournment debate, Crawford delivered a character assassination of Foll, alleging that there was a conflict of interest between Foll’s private interests, notably Mount Isa Mines and Queensland Forests, and his public duty as a Minister of the Crown and member of the War Cabinet. Foll riposted with such allegations as Crawford’s poor attendance, his authorship of anonymous and defamatory letters to the Acting Prime Minister, and his receipt of a retainer from the Australian Sugar Producers’ Association. Foll resigned as a director of Mount Isa Mines but in October 1946 took out a writ against Crawford in the Brisbane Supreme Court, claiming damages for alleged defamation. Early in 1948 the case was settled out of court with Crawford paying Foll’s costs. Having lost preselection to Annabelle Rankin, Foll left the Senate at the expiration of his term, and bought a sheep property near Armidale, New South Wales, but, in letters to Menzies, complained of financial difficulties and sought the Prime Minister’s assistance in finding employment, possibly within the Liberal Party organisation. Neither the federal nor the New South Wales branch could provide Foll with a job and in 1957 he retired to Port Macquarie, where his recreations included lawn bowls. He died on 7 July 1977 and was given a state funeral in Port Macquarie followed by private cremation. He was survived by his wife Evelyn, and four daughters, Margory (Mrs C. K. Crichton of Turramurra), Beryl (Mrs Richardson of Armidale), Jean Foll (of Port Macquarie) and Shirley (Mrs Moore of Beenleigh, Queensland). A son, Victor, had died in infancy. Sadly, no one in the Senate of 1977 had known Foll as a colleague and the condolence debate was brief. The Port Macquarie News described him as the ‘last surviving member of the 1917 Federal Parliament and a highly respected resident of Port Macquarie for the past 20 years’. Foll was nearly 5 feet 6 inches and stocky, described by Senator Rae as ‘of powerful physique’. In 1918 he told the Senate that he would bear a scar from his war injuries for life. He retained the accent and the sense of humour of a Londoner. Elaine Brown, ‘Foll, Hattil Spencer’, ADB, vol. 14; Courier-Mail (Brisb. ), 24 July 1946, p. 3; Biographical cuttings, Senator H. S. Foll, NLA; Foll, H. S.—War Service Record, B2455, NAA. Brisbane-Courier, 11 Apr. 1917, p. 8, 26 Apr. 1917, p. 8; National Leader (Brisb. ), 10 Nov 1916, p. 7; CPD, 11 July 1917, pp. 14–16; Argus (Melb. ), 22 June 1917, p. 8; CPD, 14 June 1917, p. 28, 29 May 1918, pp. 5140–1; J. R. Odgers, Australian Senate Practice, 2nd edn, Commonwealth Government Printer, Canberra, 1959, p. 221; CPD, 6 Dec. 1921, p. 13751, 11 Dec. 1934, pp. 972–3, 23 Sept. 1936, pp. 355–6; Senate, Journals, 25 Mar. 1920, p. 25, CPD, 20 Oct. 1931, p. 838. CPP, Select Committee on the Advisability or Otherwise of Establishing Standing Committees of the Senate, reports, 1930; CPD, 19 Mar. 1947, p. 825. Senate, Journals, 13 Nov. 1918, 15 Nov. 1918, 11 May 1932, 28 Nov. 1933; CPD, 8 Oct. 1936, p. 891; Odgers, Australian Senate Practice, 2nd edn, p. 71. CPD, 26 July 1917, p. 499, 5 June 1918, p. 5466, 12 July 1922, pp. 313–14, 25 June 1931, pp. 3015–8, 27 Mar. 1930, pp. 578–82, 28 Feb. 1923, p. 8, 27 May 1926, pp. 2351–8, 2 July 1941, pp. 676–7. CPD, 2 Dec. 1937, pp. 128–30; Senate, Journals, 21 Nov. 1939; Paul Hasluck, The Government and the People 1939–1941, AWM, Canberra, 1952, pp. 242, 383; John Hilvert, Blue Pencil Warriors: Censorship and Propaganda in World War II, UQP, St Lucia, Qld, 1984, pp. 77–92. Foll, H. S.—War Service Record, B884, NAA; Formation of Volunteer Defence Corps, A5954/268/1, NAA; CPD, 10 Dec. 1942, pp. 1658–61, 25 Sept. 1942, p. 943. Senate, Journals, 20 July 1944, 15 Mar. 1944; Joint Committee on Censorship, interim report, 1944, Table Office, Department of the Senate; CPD, 26 July 1945, p. 4565; Senate, Journals, 25 Feb. 1944, 29 Mar. 1944, 26 June 1946; Hilvert, Blue Pencil Warriors, pp. 165–6. Gavin Long, The Final Campaigns, AWM, Canberra, 1963, pp. 57–8; Paul Hasluck, The Government and the People 1942–1945, AWM, Canberra, 1970, pp. 572–3; John Hetherington, Blamey: Controversial Soldier, AWM and AGPS, Canberra, 1973, pp. 367, 371; CPD, 28 Feb. 1945, pp. 126–30, 20 Sept. 1945, p. 5676, 5 Oct. 1945, pp. 6614–15; Argus (Melb. ), 21 Oct. 1940, p. 5; CPD, 28 Sept. 1944, pp. 1536–7. Herald (Melb. ), 23 July 1946, p. 3; Courier-Mail (Brisb. ), 24 July 1946, p. 3; Senate, Journals, 18 June 1946, 19 June 1946; CT, 24 Sept. 1935, p. 1; G. S. Reid and Martyn Forrest, Australia’s Commonwealth Parliament 1901–1988, MUP, Carlton, Vic., 1989, p. 43; CPD, 2 July 1941, pp. 669–77; Age (Melb. ), 3 July 1941, p. 6; Courier-Mail (Brisb. ), 25 Oct. 1946, p. 3. Letter, Foll to R. G. Menzies, 22 Mar. 1948, Menzies Papers, MS 4936/1/102, NLA; Port Macquarie News, 11 July 1977, p. 1; CPD, 16 Aug. 1977, pp. 3–5, 5 Dec. 1929, p. 764, 1 Nov. 1918, p. 7376. This biography was first published in The Biographical Dictionary of the Australian Senate, vol. 2, 1929-1962, Melbourne University Press, Carlton, Vic., 2004, pp. 334-338.